Brian Buffini joins KTLA5 to talk about the power of hard work, success, and Brian's new bestselling book, The Emigrant Edge. This segment originally aired 8/30/2017 on the KTLA 5 Morning News. Brian Buffini joins Dave Ramsey to talk about the power of hard work, success, and Brian's new bestselling book, The Emigrant Edge. Originally aired 8/25/2017 on The Dave Ramsey Show. Paul and Jordana talked author Brian Buffini about his new book, "The Emigrant Edge". Growing numbers of real-estate agents are hiring coaches, some of whom attain a guru-like status and garner followings in the thousands. Mr. Gold, who currently lists $77 million worth of luxury homes in Los Angeles, wasn’t talking to his boss—the call was from his coach. Mr. Gold pays Debbie Holloway, one of 50 real-estate coaches at the company Tom Ferry-Your Coach, to force him to achieve his goals. For $1,000 a month, Mr. Gold gets to talk to Ms. Holloway for a half-hour a week, attend company seminars and access online training materials. Prodded by the call, Mr. Gold presented a detailed market report to a client, convincing him reduce the price on his property to $3.95 million from $4.3 million. The listing is now attracting more interest, Mr. Gold says, putting him back on target to close shortly. Real estate coaches emerged in the late 1980s and early ’90s and proliferated throughout the housing boom. Many coaching services folded during the housing bust, and some larger outfits lost about a third of their clientele, companies say. Today, as the real-estate industry bounces back, agents and brokerages are returning to coaches to help them figure out a raft of new technologies, manage increasingly large teams and offices—and help them cope with the pressures of being fully commissioned salespeople. Coaches who run the biggest companies maintain a guru-like status in the industry, garnering followings of thousands of agents. There is Tom Ferry-Your Coach, the Irvine, Calif.-based coaching company, which says it has more than 1,800 individual clients. 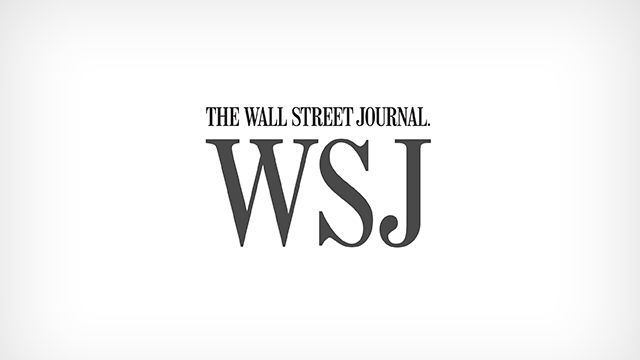 Last year, the company saw revenue rise by 38% compared with the year prior, to more than $10 million, and expects revenue to grow to $15 million this year, Mr. Ferry says. There is also Buffini & Company, a real-estate coaching specialist based in Carlsbad, Calif. The company doesn’t disclose revenue, but says that membership has grown 26% since last year, to 10,500 clients today, and that it is on track for the same growth this year. Keller Williams MAPS Coaching, a division of Austin-based Keller Williams Realty International, which has 107,000 agents, says it currently has 1,605 agents in one-on-one coaching, more than three times the number it had in 2010. Agents who use coaching earn 315% more gross commission income than Keller Williams agents who don’t, says Dianna Kokoszka, chief executive of the coaching division. In July, Century 21 made a deal to offer its 100,000 agents a discount on coaching services from the Mike Ferry Organization, based in Las Vegas. Mike Ferry, who is Tom Ferry’s father, was among the first big names in real-estate coaching. The elder Mr. Ferry says his 2013 revenue was $28 million, up from $22 million in 2009. A typical coaching arrangement involves a year-long contract, a fee between $400 to $1,000 a month and bi-weekly or weekly phone calls, plus access to seminars, large rallies and digital materials. Coaches might instruct agents to stand up while they talk on the phone, for added energy; or to end sentences on a downswing, to sound more authoritative. Coaches also help brokers make hires and figure out web and social-media marketing. “Without coaching, I would be 10 years behind and I would have spent millions of dollars doing the wrong thing,” says Jane Fairweather, a Coldwell Banker agent in Bethesda, Md., whose eponymous team earned $3 million in commissions last year. Ms. Fairweather says she spends about $20,000 a year as a client of Ken Goodfellow at Goodfellow Coaching and Consulting in Ottawa, Canada, and has learned such strategies as creating websites around specific market niches and producing reports that convince sellers to drop their asking prices. Some of the top coaches have spent most of their careers in coaching and training, not selling real estate. Mike Ferry, 69, only worked selling real estate from 1970 to 1973; Tom Ferry, his 44-year-old son, got his start working for his dad’s coaching business when he was 19. There are no state or federal license requirements for people calling themselves real-estate coaches, nor for other types of life, business or health coaches. Some opt for voluntary credentialing from a variety of organizations; the largest of them, the International Coach Federation in Lexington, Ky., credentialed 11,735 coaches last year, over twice the number in 2008. Some companies, such as Tom Ferry, use mainly active real-estate agents and brokers who coach part time; others, such as Buffini, use full-time coaches who have been trained in the company’s system. 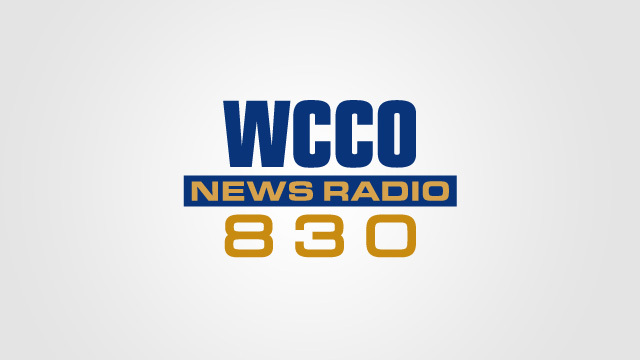 Some outfits, including Goodfellow, say they only coach agents earning over $500,000 in annual gross commission income; others accept newcomers. While many coaching companies say agents using their systems earn far more, such results aren’t typically promised in contracts. One common complaint on online consumer-review sites comes from agents who signed contracts with coaching companies but failed to improve their sales, and now want to stop the service. “When you’re in a contract, we enforce it. You can’t get out of it,” says Mike Ferry. Buffini says it releases unhappy clients, while Keller Williams says it is “lenient.” Mr. Goodfellow says he doesn’t ask clients to sign a contract at all. SiBelle Israel, 35, says she signed up for coaching at one of Tom Ferry’s summits in 2011 while she was a real-estate agent in Santa Barbara. “It’s a feeling like you’ve been enlightened and you’ve found something to believe in. I used to joke that I joined the church of Tom Ferry,” says Ms. Israel. Coaching, however, was expensive and not helpful, and her contract was renewed for a second year without her approval, she says. She hired a lawyer and stopped payment on her credit card, she says. “We work with the client to come up with a solution that best serves both parties;” however, “we cannot always honor their initial requests,” Mr. Ferry said. Some agents say they have noted a sharp increase in sales pitches by coaching companies in the past year or so. Pamela Liebman, president and chief executive of the Corcoran Group in New York, says that fewer than 2% of the agency’s 1,700 agents use coaching. Referrals, not rushed sales, underscore Brian Buffini’s real estate success. Rather than focus on transactions, the California-based sales coach and motivational speaker encourages real estate agents to forge relationships with clients, to develop ongoing connections aimed at attracting other buyers. “It’s an effective way of doing things,” says Buffini, who has trained 3 million business professionals in 37 countries since founding the company that would become Buffini & Co. 20 years ago. He currently coaches more than 10,000 individuals nationwide through classroom and online training programs. More than 1,350 of those people packed the Fort Worth Convention Center on Oct. 14-15 as part of Buffini’s 2015 Success Tour. 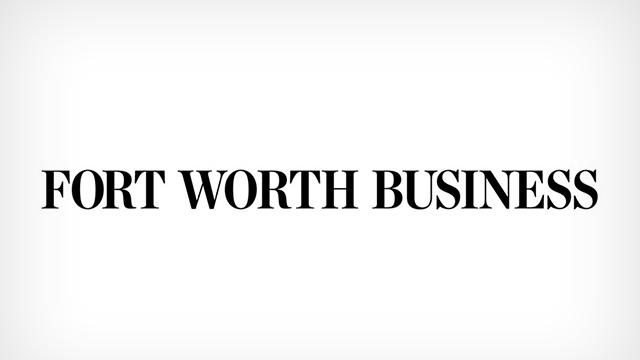 Buffini found a few minutes to explain his approach in an interview with Fort Worth Business. Motivational speakers are nothing new, but motivational speakers specializing in real estate are a rarer breed. What led you to this specialty? I was a real estate agent myself. Real estate is a fabulous business, but very tough. You don’t necessarily have a boss. You have colleagues, but you’re not really part of a team. And the training you get is not training you need to run a successful business. Running a successful business is very difficult. In addition to the fact that you’re self-employed, it’s a tough place to be. Yes, exactly. I got my license and they said, “Here’s your desk, your phone. Knock yourself out.” I had to figure it out. A year later, I was a successful agent by applying myself to old-world principles of serving the customer, generating referrals. I found myself being in demand. So many people identified with it. I volunteered my time at different conferences to do this. I didn’t see this becoming what it has become, though. What qualifies you to be a real estate trainer? There are a lot of people on the training side of real estate that never even sold. I think customers would want someone who’s experienced in training, and that is me. So many trainers haven’t been in the sales trenches, so to speak. Yes, but I’m excited by my two careers: nine years as a real estate agent and also as trainer in 37 countries. What you’re doing obviously works. What aren’t others following the same approach? I guess for competition’s sake, people come up with their own philosophy. Believe it or not, a lot of teachers say the way to grow your business is to generate customers online and to get online leads. In the training space, a lot of trainers never sold real estate. They come from a tech space. With Zillow and Trulia [online real estate listings services], you don’t have to be in the real estate business to go back and look at houses. You’re able to see every house you want and check them out. You don’t even need to talk to a Realtor. People think we’re going the way of travel agents or taxis. Are they wrong in that perception? I think technology is fantastic. What we see today is 92 percent of people start their [home] searches online. Of those people, in excess of 90 percent, after they look at homes online, go and get a referral to an agent to get help. If you look for a house, you look online. Then when it’s time to get serious, you get a professional. It’s a modern tool, somewhere to begin. Yes, but once you’re in that mode, you also talk to people. The way we look for a home, you engage in conversations just like you did before. Some things technology doesn’t make obsolete. Yes. Do you have kids? Well, I’m not finding a babysitter online. I’m not bringing Charlie the Ax Murderer into my home. What’s your take on the real estate industry? Is it strengthening? Or do you foresee another downturn? The market is very solid. It goes the way the economy goes. Employment and unemployment are two very big issues for real estate. Nationally, we know there’s a shortage of inventory. The U.S. economy will need to build 16 million homes and condos in the next 10 years just to keep up. We will continue to have a housing shortage for some time – in Texas, even more so. You guys do a great job of luring California companies here. The state income tax is a big draw for a lot of folks. More and more, you see more and more people migrate to the state of Texas all the time. In my travels in major markets, Dallas, especially, is going to be in a housing crunch for quite some time. Just because of the inventory issue? Yes, they’re not building fast enough to keep up with population growth and state migration to the state of Texas from people coming here. So that means more agents? And more and more buyers. Do people at your conferences ask about that? Yes. For the event in Fort Worth, we talk about our system in how to generate referrals. We have a system to create our own inventory. That’s housing stock or houses on the market. The average professional does not know the state of the housing market. And there are many homeowners who don’t know how to commodify their existing homes right now. Those who do are reluctant to put their homes on the market. As a motivational speaker, you obviously place value on attitude and ability. But how does even a confident, enterprising individual succeed in a real estate market whose strength or weakness is out of their control? I think what happens is when you’re into real estate, there are many voices clamoring for your attention. Many people say here’s how you should do it. The average real estate agent in business sells less than two homes a year. That’s for a new real estate agent. I have a program called Peak Producers where people walk through a 12-week course. The course costs $395. It’s a 12-week, video-based training program that includes all the materials you need. More than 40,000 people take this course. What’s unique to this year’s conference? Anything new? I see agents drift toward depending on technology to generate leads, but that does not generate a quality of leads. A referral from a past customer is superior to a [prospective client] who might have put their name in an address to get a free goody. It’s very rare to sit back in my hammock and have leads come to my email and see these leads turn into money. What we teach requires a lot of work: Go out and see clients, take them to lunch, a coffee, provide resources for them. It’s a lot of work. Yes. The principles don’t change; the tactics do. It’s building a relationship using the latest market approaches. Typically, my audience is 40 percent people who are members in a coaching system coming back, another 40 percent who are here for the very first time, and the last 20 percent of people who are new to the business. As leaders, we expect our teams to buy into the vision and goals we’ve set for our business. We want them to not only commit to their roles, but also commit to improving themselves and the company, as well. But what about us? Do we demand the same from ourselves? Teams expect their leaders to be fully committed to the vision, goals and business. They want someone who can model the culture and expectations, as well as commit to constant personal and professional growth and development. The most effective leaders understand this. That’s why when teams begin to fail, it’s important to look to their leaders and ask this simple question: Are they all-in? Being all-in takes commitment; it’s the promise you make to yourself, your team and your business that you’ll put everything you have into succeeding. When you’re all-in, your team can count on you to lead by example, nurture relationships and commit to personal and professional growth. It’s important to model the habits, attitudes and behavior you expect from your team. If you expect them to have a positive attitude, exude positivity yourself. If you want them to prioritize their schedules and work smarter, show them how. When they see you working hard, generating leads, setting and achieving goals and giving your best, they’ll take notice and be inspired to develop those habits as well. Strong teams and businesses are built on the foundation of strong relationships. Build these relationships by spending time with your team and clients. Not only will you get to know them better and make them feel valuable, you’ll also discover new ways to serve them. Plan a coffee or lunch date, bring them their favorite beverage or another small gift or write a personal note to say how much you appreciate them. Meeting with your team members individually also gives you the opportunity to offer encouragement and guidance. While you’re making your team feel special, you’re also modeling the Work by Referral System. When you show them how it’s done, they understand how to incorporate client lunches, pop-bys and personal notes into their routine with their clients. Growth is vital to your success. After all, if you stop growing, your business will stagnate. Show your team that you’re all-in by attending classes and seminars to help improve your skills and reach your goals. Encourage them to do the same and invite them to the seminars that you attend. Personal and professional growth will not only keep you motivated to achieve your goals, it’ll motivate your team as well. Being all-in is not only essential to your business, but also vital to building a successful team. Be the model of the habits and attitude that you expect. Let your team see that you’re not only committed to your values and expectations, but you live by them as well. Are you all-in? The time to start is now. 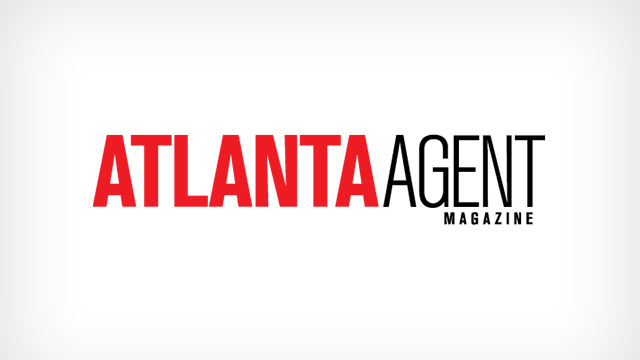 Every week, we ask an Atlanta real estate professional for their thoughts on the top trends in Atlanta real estate. 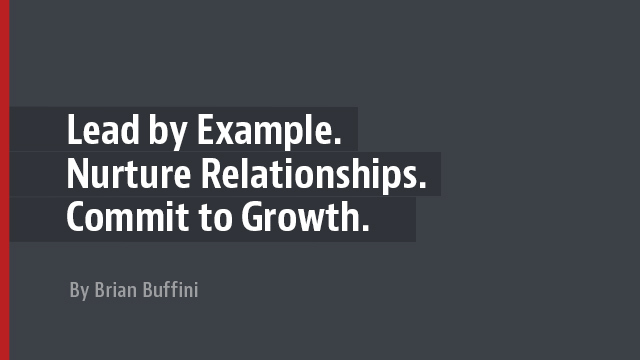 This week, we talked with Brian Buffini, the chairman/founder of Buffini & Company. Born and raised in Dublin, Ireland, Brian immigrated to San Diego in 1986, where he became one of the nation’s top agents. He then founded Buffini & Company, which is based in Carlsbad, California and has trained three million business professionals in 37 countries, and currently coaches more than 10,000 business people across North America. Atlanta Agent (AA): What is your general assessment of the housing market? Brian Buffini (BB): Overall, the market is very solid. It’s like the economy – we have not had a huge recovery, but things are solid. We are still seeing historically low rates, but I am banking on a small rate increase in December, which will lead to a very busy spring in 2016 and then a more flat remainder of the year. The basic fundamentals of supply and demand remain true, and the biggest issue we still have is with the U.S. population growing at its current rate, we need to build 16 million new housing units in the next 10 years. That’s 1.6 million a year, and we’re quite a bit behind that pace, so we’re going to see a continued housing shortage. That said, the Millennials are coming out of college and moving back home, so there’s a delayed entrance into the market. So overall, I think we’re going to see much of the same in 2016, meaning a busy spring with good, solid business the rest of the year – and for someone like myself, who has seen the highs and lows in the market over the last 30 years, stable is good! AA: What are the biggest challenges agents face today in their business? BB: Much of the pain that comes the agents’ way is going to be self inflicted. What has happened is, real estate is an industry that has been insulated from the changes that have been going on culturally in other industries, and the recession was one of the reasons for that. When the market went south, we were at the center of the storm, and you’re really not going to have a fundamental change to how people do business, especially if homeowners are losing their homes to foreclosure or a short sale. They’re not going to experiment with different types of services. That is all changing, though, and many companies with considerable budgets – especially on the technology side – are driving consumer-facing traffic in real estate. Agents tend to be reactive in nature. Thus, what’s happening is, so many agents are spending so much money on online lead generation, whether they are buying ZIP codes or lead drip campaigns. It’s not that those things have no place in the market, but we’re seeing agents do those things in the same way they rushed to be certified in short sales and REOs. Those areas became a big part in the post-boom market, but they should not have been 100 percent of an agent’s business. Right now, with the heavy emphasis on teams and online lead purchasing, I think many agents are making fundamental mistakes. AA: So with that in mind, what is the biggest change you think agents need to make to succeed? BB: It’s very important to find the kind of service you’re going to provide, the fees you’re going to charge and the kind of customer you want to serve, and then be very proactive in a multifaceted marketing approach to acquire leads, not a one-dimensional approach.